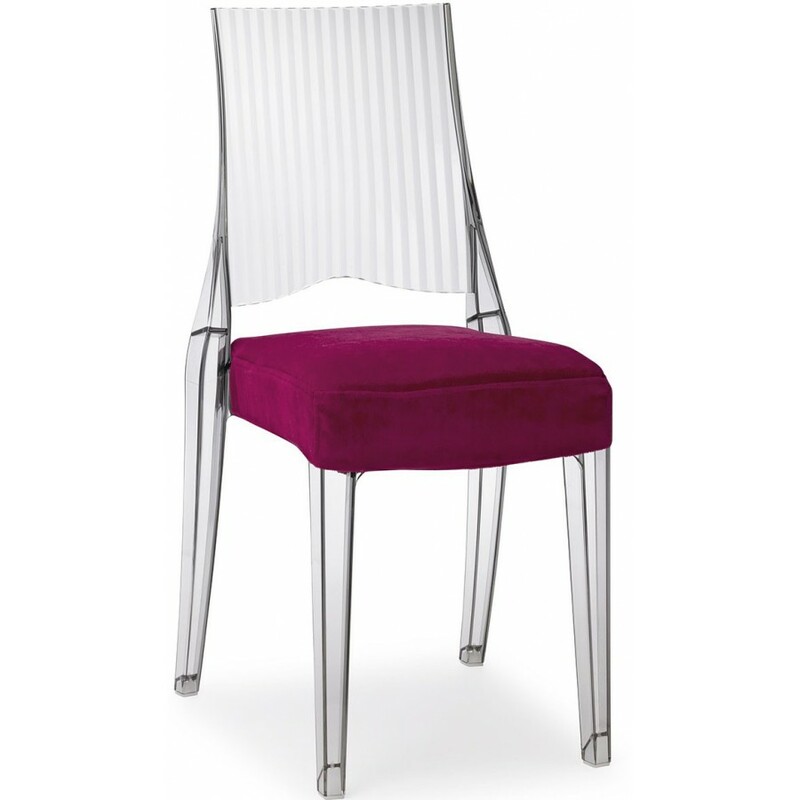 Stackable chair in transparent or full-color polycarbonate for indoor and outdoor use. Glenda chair has the structure in polycarbonate in the following colors: transparent, transparent smoked-grey, transparent bottle-green, full-color white and full-color black. Chair with classical design, which is made of a modern material. The design of the chair is design to be comfortable and cozy. The seatback has squared lines, becoming thinner towards the top. The stackable chair is suitable also for outdoor use. Possible pillow on request with an extra charge.